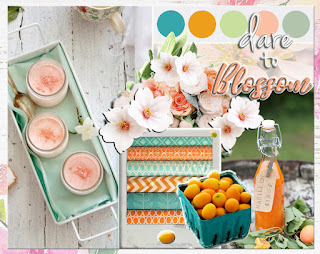 Today I'm sharing my Guest Design project for Scraps N Pieces Blog. I won their January Challenge and got this opportunity to create something as a Guest Designer. I totally love the March Moodboard and made this Layout inspired by it. 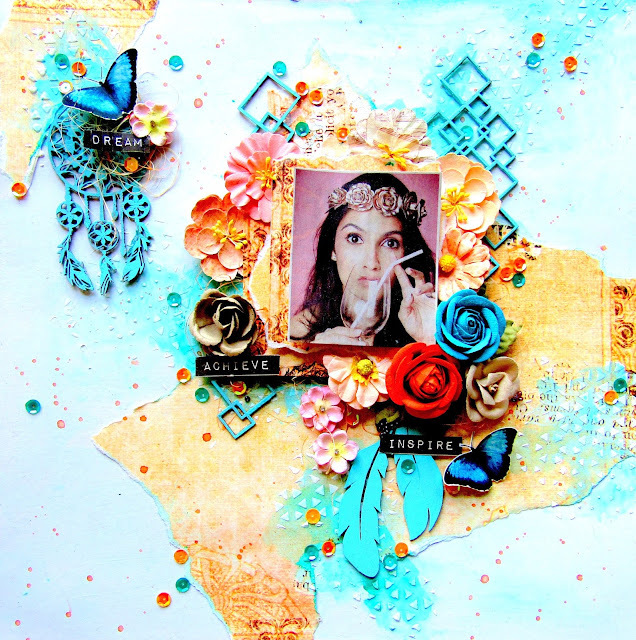 The Beautiful Paper and chipboards are from Papericious India. The lovely Flowers are from Prima Marketing and Little Birdie.